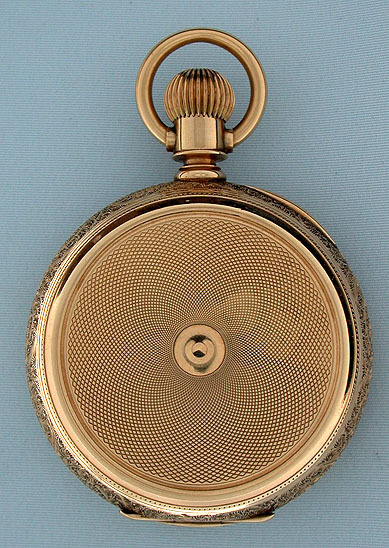 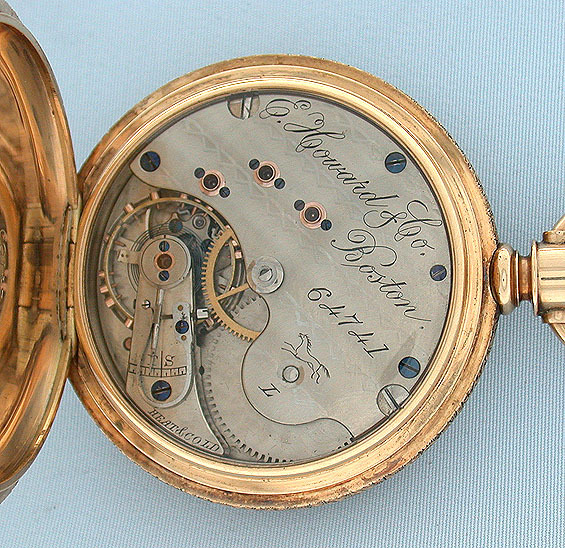 Fine L Howard 14K gold hunting case antique pocket watch circa 1891. 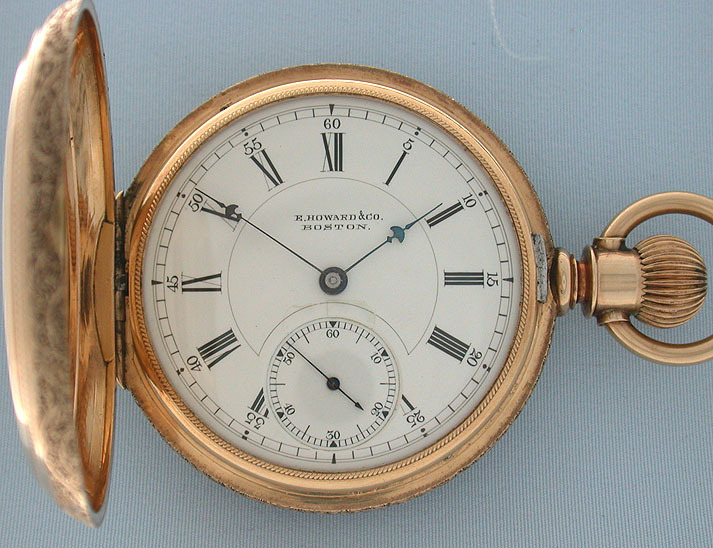 White enamel dial (crack and hairline) with blued steel Howard "umbrella" hands. 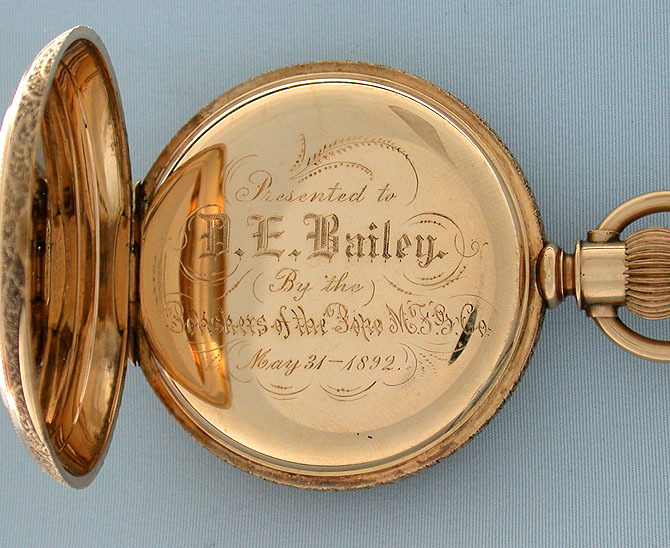 Substantial engine turned case with fancy band and a crystal under the dust cover. 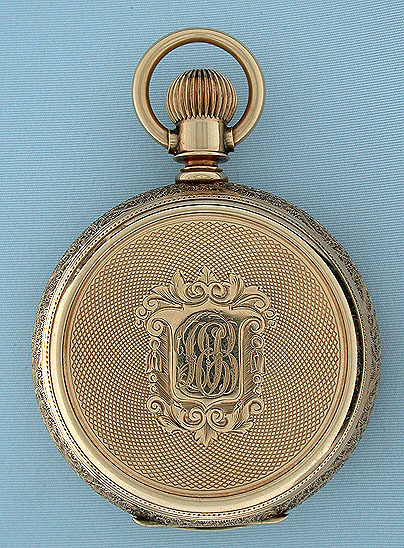 Damascened nickel 15 jewel movement with screwed gold jewel settings.